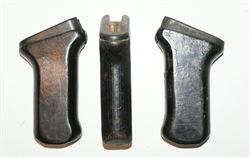 These are RPK (early AKM) laminate pistol grips. They are thicker then the AK74 laminate grips. Take-offs.